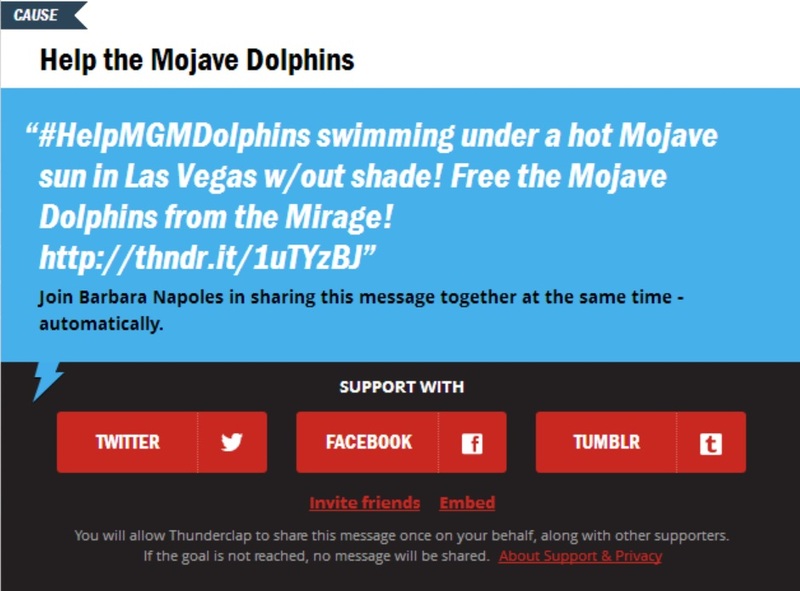 Join the Tweetstorm now: Free the Mojave Dolphins From the Mirage Hotel! Your Tweet is their only hope! On July 12, 2014 temperatures reached 102 degrees fahrenheit in Las Vegas, Nevada. Unbeknownst to many 10 dolphins are trapped in the Mojave desert far from the ocean. Despite the many dolphin deaths the Mirage hotel and casino’s, “Siegfried & Roy’s Secret Garden and Dolphin Habitat“, also know as the, “Dolphin Death Pool” continues to be restocked. The dolphins imprisoned in the Mirage’s “Dolphin Death Pool”, continue to prove the desert is no place for highly intelligent and social, ocean animals by failing to thrive, and dying after their long work days entertaining guests for profit at the MGM Resort in the heart of the Las Vegas Strip. Join the Facebook Page Free the Mojave Dolphins now! 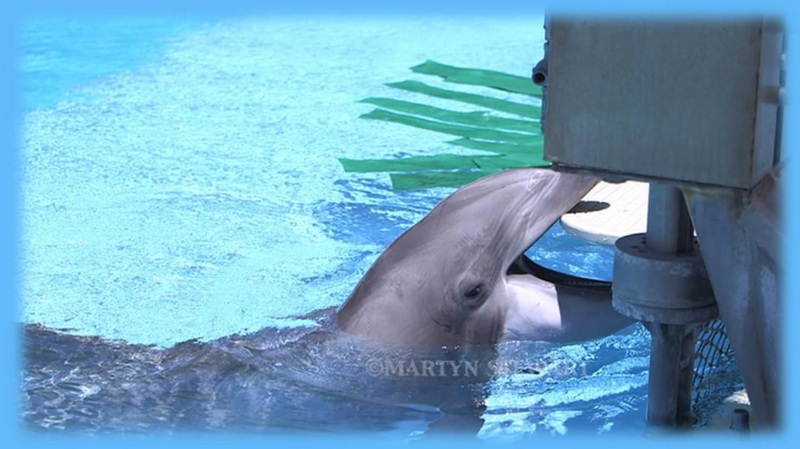 In 2013 was a breakthrough for the dolphins suffering in the Mirage as Facebook page Free The Mojave Dolphins from the Mirage. 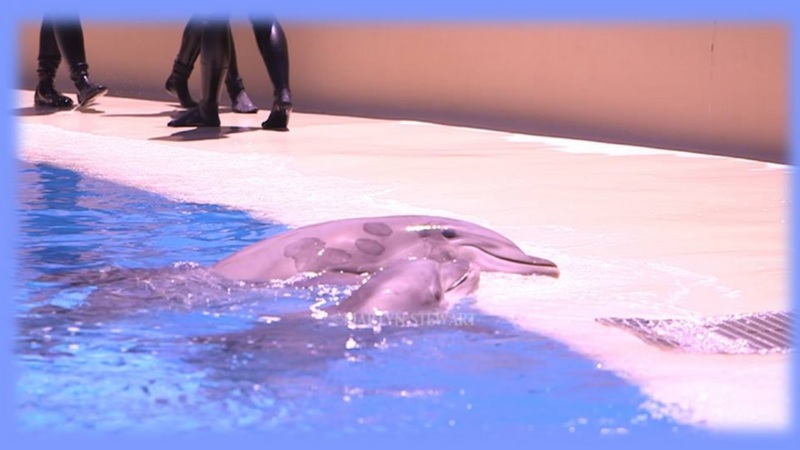 Creator Shelly Rae and co- administrator Cecilia LaBar Mialon are now making waves in Las Vegas documenting and fighting for the dolphins imprisoned at the MGM Resorts Mirage. Their Facebook page, events and petitions are drawing worldwide attention. 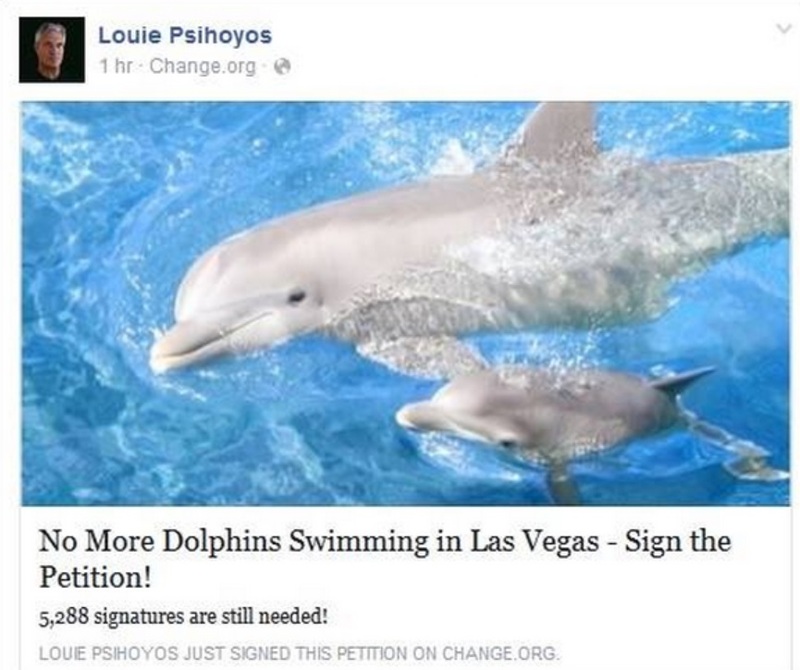 Louie Psihoyos director and star of The Cove signed No More Dolphins in Las Vegas! Join Louie and sign the petition here! Be a voice for dolphins join the July 19th event here! A dolphin displays stress, boredom, and frustration by repeatedly biting a gate! Documented by Martyn Stewart wildlife photographer June 13, 2014. Join the Tweestorm and be a voice for the dolphins suffering in the Mirage’s Dolphin Garden Habitat in Las Vegas! Follow the counter and be ready to Tweet for the Mojave Dolphins on July 19, 2014! 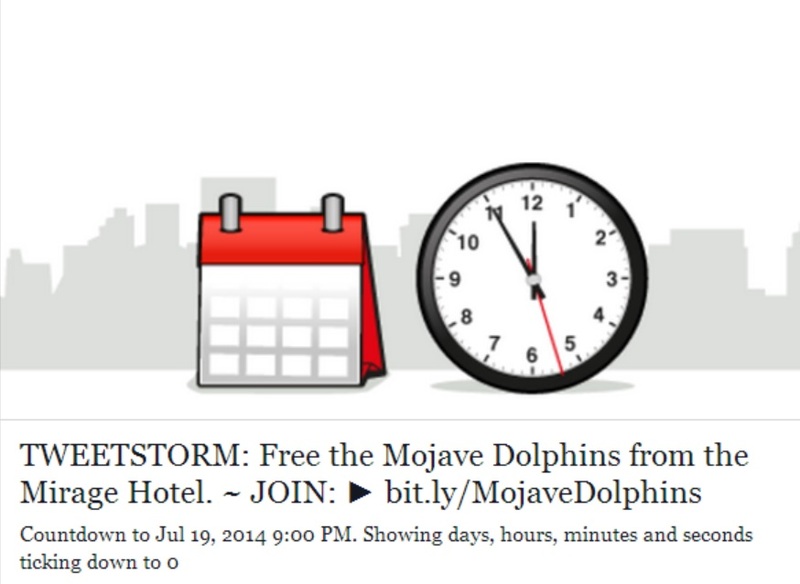 Join our TWEETSTORM on Saturday July 19 to free the Mojave Dolphins from the Mirage Hotel, in Las Vegas! AND SIGN the 4 petitions! Favor firmar las 4 peticiones! Join the #Thunderclap and make the Tweetstorm and awareness campaign an success! 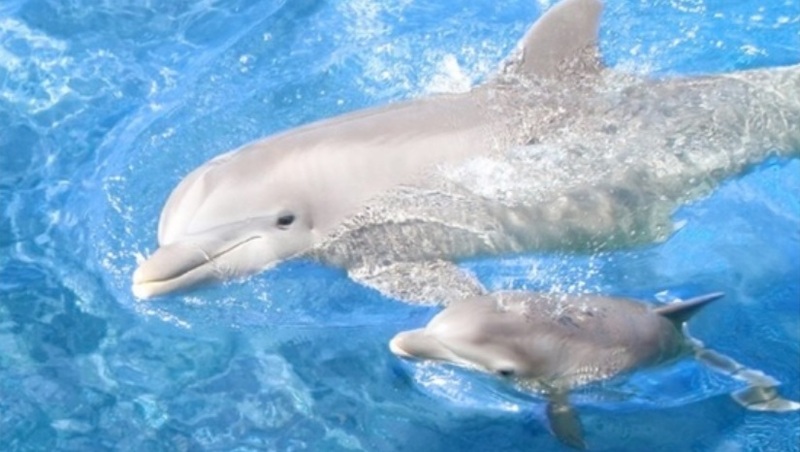 Please sign the petition No More Dolphins Swimming in Las Vegas Here! 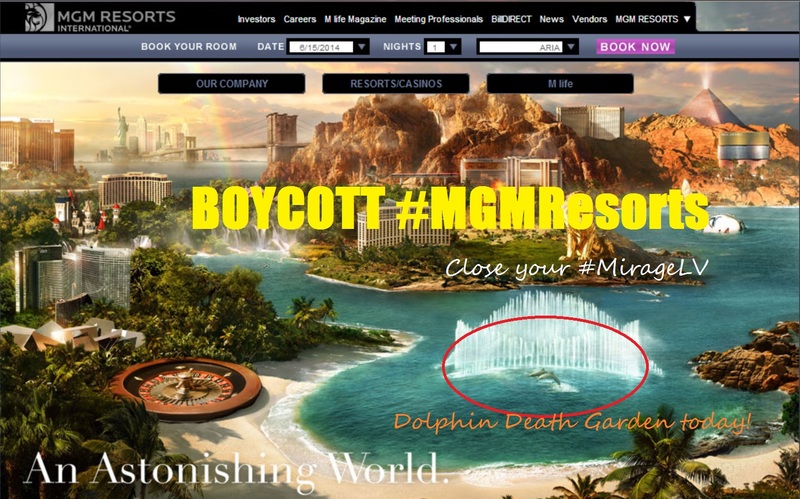 Take the pledge and sign the petition taking the pledge to Boycott all #MGMResorts until the dolphin death pool is closed! 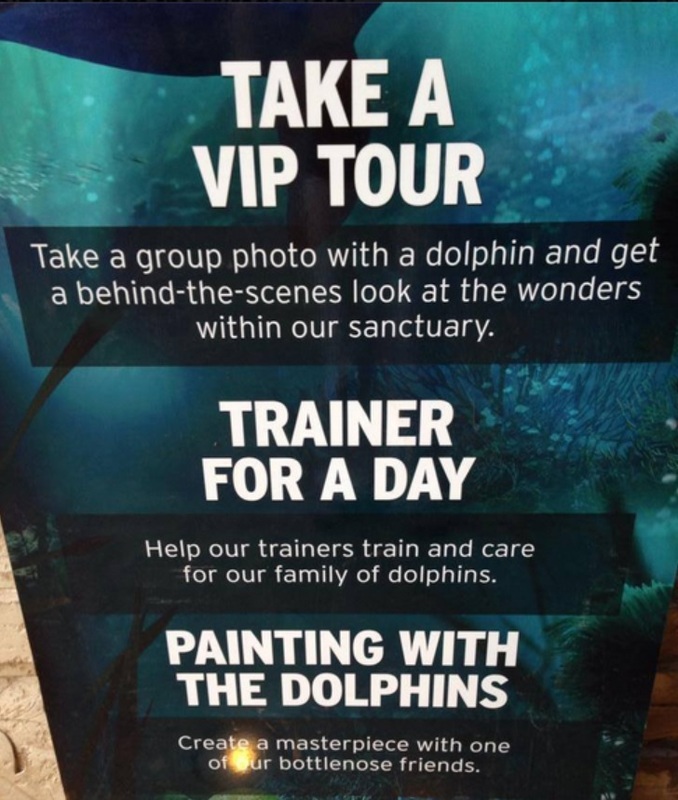 Conduct a thorough investigation & enforce the Animal Welfare Act at the Mirage dolphin habitat. by Fins and Fluke. 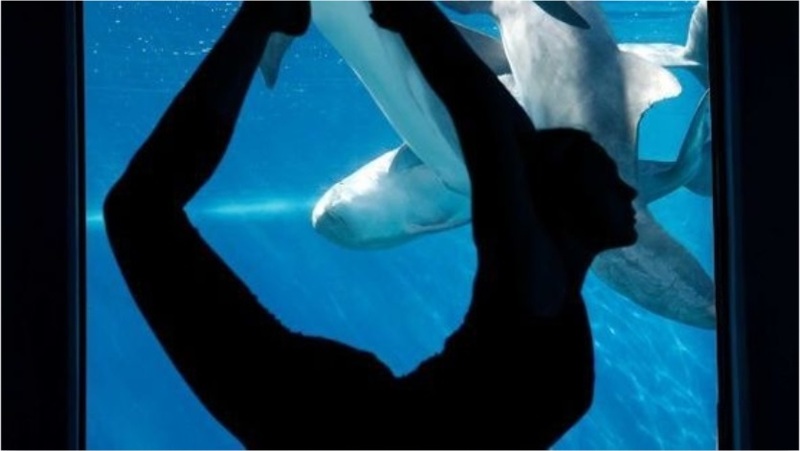 Say No more Yoga with dolphins at the Mirage in Las Vegas sign here! 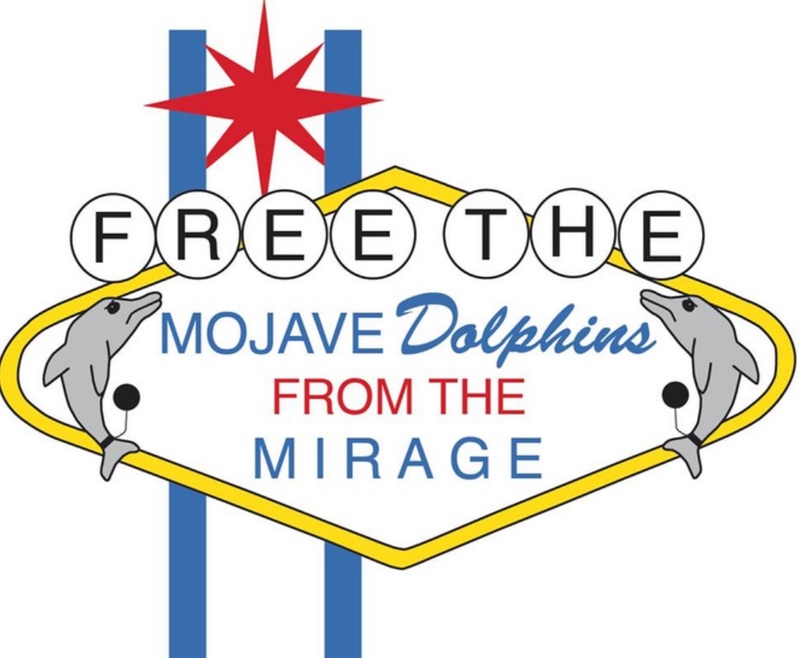 TWEETSTORM: Free the Mojave Dolphins from the Mirage Hotel! Join here! July 19, 2014: Be the change you want to see! 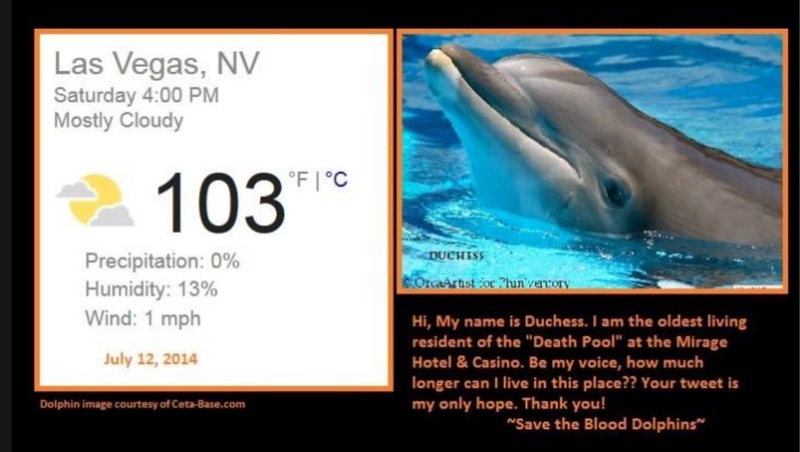 Join the Tweetstorm To Free the Mojave Dolphins from The Mirage Hotel and be a voice for the dolphins suffering so terribly in the heat of the Mojave Desert! 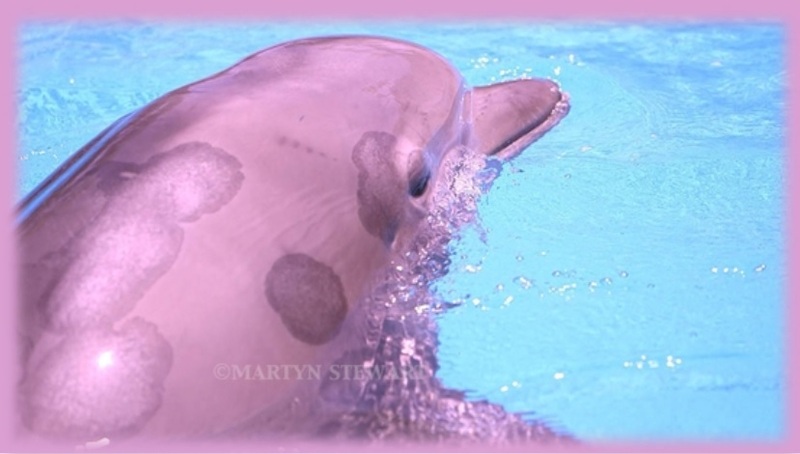 This entry was posted in Cetaceans, Dolphins and tagged Dolphin Death Pool, dolphins, Las Vegas, MGM Resorts, Mirage Hotel, Mojave Dolphins, Seigfried and Roy's Secret Dolphin Garden Habitat, the Cove, Travel Las Vegas by Kirsten Massebeau. Bookmark the permalink.